Martyn Cornell has kindly given permission for extracts from his article, A Short History of Beer in Hong Kong, to be posted on our website. Martyn has his own blog, Zythophile – Beer now and then, linked below. Despite its title the article is quite lengthy and packed with information. This seventh extract begins in 1978…. By now the Sham Tseng brewery had a rival, for the first time in its existence. In March 1978 the Danish company United Breweries announced that it would be building a Carlsberg brewery in Hong Kong, which would be in operation in 1980. 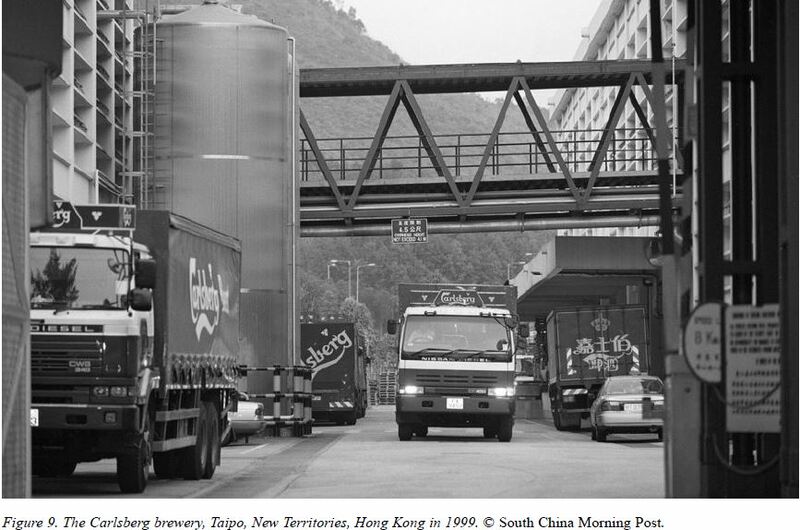 (97) The new brewery was on an industrial estate in Tai Po, on a bay in the east of the New Territories, 10 miles from Sham Tseng, and actually opened on 28 April 1981. In 1993, by which time Carlsberg had increased its share of the Hong Kong beer market from 3% to between 17 and 19%, it opened a HK$65 million extension, with a feng shui ceremony featuring lucky money, joss sticks and four roast suckling pigs.98 The ceremony did not bring Carlsberg the wanted luck, however. This article was first posted on 1st May 2017.